Throughout my military career, and even still today, I am an avid consumer of military history. Probably because I spent a majority of my military career on the east coast, I am particularly drawn to the Civil War. Like many who study this time period, I am often draw to the Battle at Gettysburg. When it comes to this battle, I have continually been awed by the decisions and actions of Colonel Joshua Chamberlain. 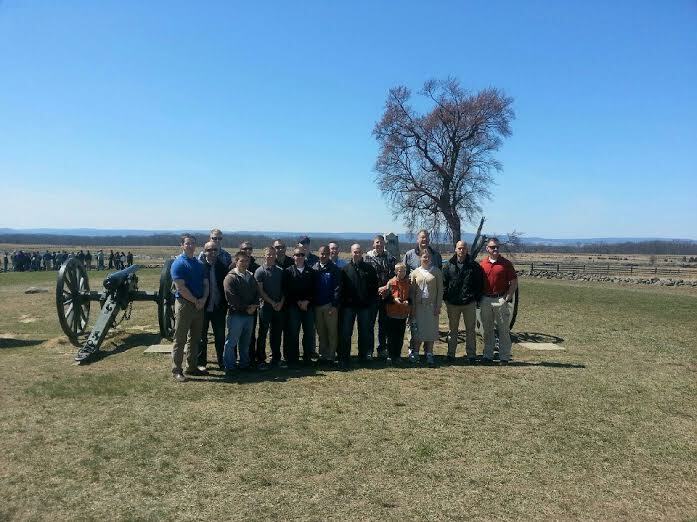 I have read Michael Shaara’s Pulitzer-prize winning novel “The Killer Angels” and watched Jeff Daniels remarkably play Chamberlain in the movie “Gettysburg.” However it was not until I had the privilege of taking a group of my Marines to the actual battlefield that I truly understood this tragic conflict. It has been six years since I was last at Gettysburg. I no longer view Chamberlain’s actions through the lens of a fighter leader. I now view his actions through the lens of a father leader. The battlefield I must now protect and hold is called my home. At stake is the hearts and minds of my wife and children. They will continually be presented with expectations that drown their worth. I have always been amazed at how one man can change the course of a battle. Husbands and Fathers….more than ever before, I believe it is our duty to do so now!! Like Chamberlain we must not back down. We must continue to love, lead and serve well. We must continue to point them to the Father who created us for His glory. This is a battle worth fighting….Will you join me? This entry was posted in Family, Leadership, Marine Corps, Sacrifice. Thirty-three years have passed since the largest non-nuclear explosion since World War II took the lives of 220 Marines, 18 sailors and three soldiers. At about 6:20 in the morning on October 23, 1983, a yellow Mercedes truck charged through the barbed-wire fence around the American compound in Beirut and plowed past two guard stations. It drove straight into the barracks and exploded. Eyewitnesses said that the force of the blast caused the entire building to float up above the ground for a moment before it pancaked down in a cloud of pulverized concrete and human remains. That day was the largest single-day loss of life of Marines since the Battle of Iwo Jima. Americans were shocked at the devastation, but at the time few grasped the significance of the deadly bombing. It marked the emergence of a deadly new form of terrorism never seen on this scale. For those who served or joined soon thereafter, this was their generation’s 9/11 moment…a call to service in the midst of a terror attack. 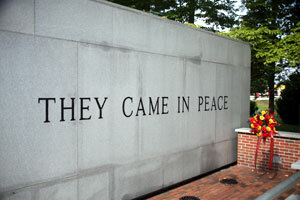 Almost all of the 241 deceased service members were from Camp Lejeune, NC. 241 dads, husbands, and friends from one town gone in an instant…the impact was devastating to the small military town of Jacksonville, NC. Imagine what it would do to your community to lose that many of your men in one moment. 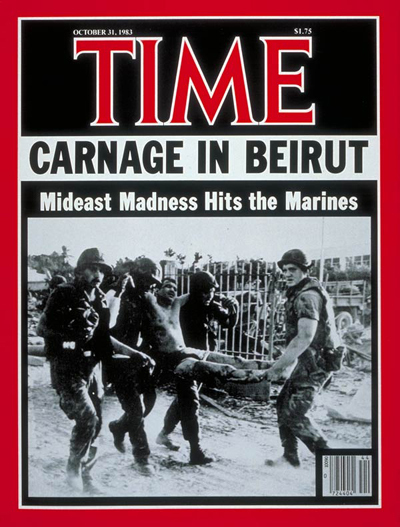 The Marines lost at Beirut are also remembered in another way. Soon after the attack, a middle school class in Jacksonville decided to raise money for a memorial for the Marines. The money they raised was used to purchase 241 trees. For over a decade on my way to work, I would drive down Highway 24 (Lejeune Blvd) into the main entrance of Camp Lejeune. What makes this drive different is the center lane. It is lined with the 241 Bradford Pear Trees purchased by local students….one for each man lost. What many don’t know is that on the other side of the world there is a matching set of trees. In 1992, the director of the Haifa, Israel USO coordinated the creation of a memorial park that included 241 olive trees. The trees lead to an overpass on Mount Carmel looking toward Beirut. He is correct, for the Marines lost at Beirut there are no battle streamers…there are only trees. This entry was posted in Family, Leadership, Marine Corps, Misc. One of the most important skill sets of any great leader is resourcefulness. 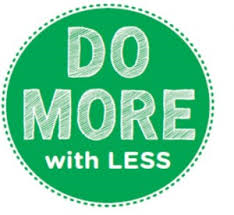 It’s about realizing that you can do more with less because you and your team have more potential than you may have thought before. It’s about what we do when the precise resource that we need is not at hand. It’s about how hard we look to find its replacement or to solve the problem at a difficult, maybe even overwhelming moment. For our businesses or ministry, it doesn’t mean just exhausting every option, but finding new options that never previously occurred to us. History shows resourcefulness has separated ordinary people from those considered heroes. It has been applied to get people out of tight spots, as in the near-fatal Apollo 13 mission. It has also been applied to change the way we travel, as demonstrated by the Wright Brothers. Scripture too provides us with some great examples of resourcefulness. When a paralyzed man could not be brought close enough to Jesus because of a large crowd, a few of his friends put their minds together and devised a plan. Luke tells us they climbed atop the roof of the house in which Jesus stood and cut a hole in it. This band of determined friends then lowered their buddy down in the presence of Jesus. And whose faith did the Lord praise? Not the man with the infirmity. The resourceful characters who may have ruined someone else’s roof received the acclaim. They evidently understood what was more important than anything else at that moment in time….Jesus Christ. In part, I think resourcefulness is a matter of attitude rather than access. A true leader wants to redefine the possible: extract greater results from the same hours or minutes, cut through the clutter of to-dos and focus on how to get real results. Because for a leader, there is no such thing as limited resources, there are only opportunities for innovation and self-realization…like cutting a hole in someone’s roof for the sake of a friend. This entry was posted in Friendship, Leadership, Marine Corps and tagged leadership, Marines, resourcesfulness. As leaders, we do too much and love too little. Yes, love. That’s exactly what I said. Okay, maybe you’re uncomfortable with the “L” word in a leadership context. So, what if we use the “C” word – Care….Or, the “A” word – Appreciate. Would that make you feel better? I still choose the word love. The greatest leaders I ever had in the Marine Corps loved me and I knew it. I knew that they would sacrifice themselves for me or the misson at hand. That type of love served as an unbreakable bond for some of the best units I ever served with. 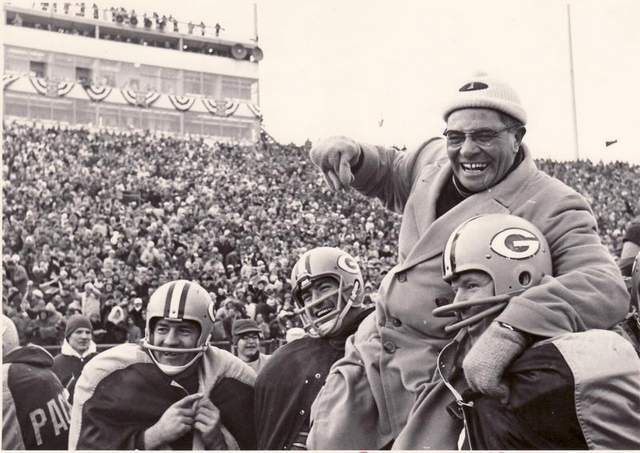 Coach Lombardi earned the right to drive his team to the limit, because his intense drive was balanced by his equally intense love for each man. He awakened in his players the respect, drive, and love he held within himself. When people know that a leader loves them great things are possible. When I think of a leader’s love I am also reminded of Army Captain William Swenson. On September 8, 2009, Swenson was part of an operation to connect the Afghan government with native elders in the Ganjgal Valley in Eastern Kunar Province in Afghanistan, near the Pakistan border. According to the U.S. Army’s detailed Official Narrative, Swenson’s force was ambushed at about 6 a.m. by as many as 60 insurgent fighters who soon surrounded the column on three sides. Swenson called for air support and with two comrades crossed 50 meters of open space under direct enemy fire to administer life-extending first aid to his severely wounded sergeant. When the column was surrounded by enemy fighters that advanced within 50 meters, Swenson responded to Taliban demands for surrender by throwing a hand grenade, an act of defiance that rallied his men to repel the enemy advance. Swenson and his men moved his sergeant and the other wounded to a helicopter for medical evacuation before returning to the enemy’s “kill zone” for at least two more trips in an unarmored vehicle to evacuate additional wounded. After the 7 hour firefight had ended, 15 coalition soldiers were dead. What makes this video so special is not the dust, the bullets, or the chaos, but the actions of a leader. 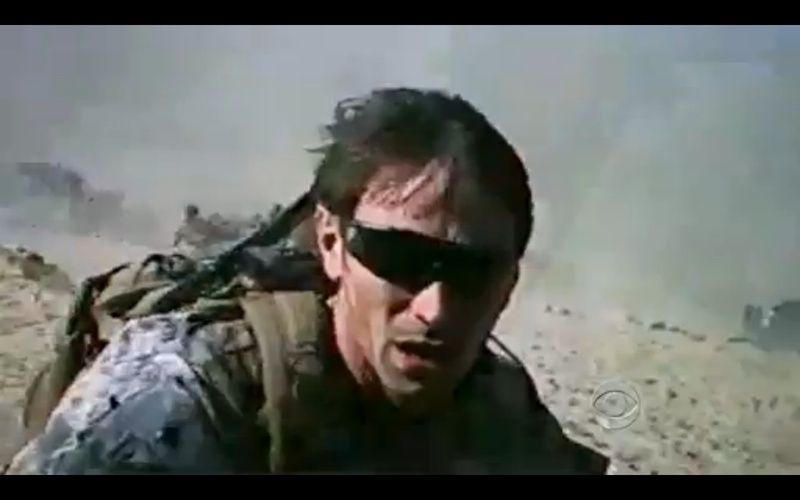 At about the 4:10 mark you can see Swenson lean over, look at his wounded soldier, and gently kiss his forehead. It would be the last time he ever saw Sergeant Westbrook…he died soon after the ambush. The army’s official account makes no mention of the kiss Swenson gave one of his men. But that one act explains everything about true leaership….. This entry was posted in Friendship, Leadership, Marine Corps, Sacrifice and tagged leadership, leadership 101, love, sacrifice. This was not the first time I had ever heard this lesson. It was engrained in my brain from the first day I attended boot camp and I was continually reminded of it by the personal examples of the many Marines I served with. The classic manifestation of this is that in the Marines, leaders eat last. (I wrote about that here). That tradition set the leadership tone for each unit I served with. “…My success will be gauged by the responsibility to lead my Marines and accomplish the mission, not by any other metric. I’m lucky to be deploying with such a phenomenal, savvy group of guys. I choose this and wouldn’t have it any other way. It’s not about me. Nate chose a path that was hard for him and for his family, on behalf of the rest of us. His family members, while suffering the unimaginable pain caused by Nate’s death, doubled down on national service. 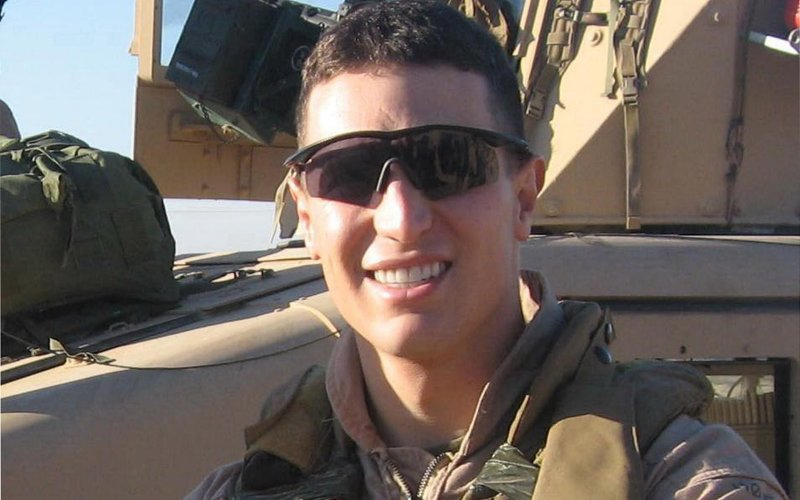 His brother, Austin, accepted a commission as a Marine officer just days after Nate was killed. Their father, orthopedic surgeon Bill Krissoff, was inspired by Nate’s service to the extent that he sought and received an age-waiver from President George W. Bush to join the Naval Medical Corps at the age of 62. He deployed to Iraq and Afghanistan in honor of his son. 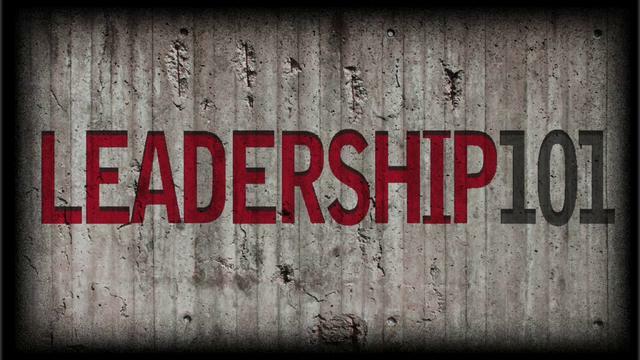 Leadership Lesson #1: It’s not about you….. This entry was posted in Family, Leadership, Marine Corps, Sacrifice and tagged leadership lessons. Thirty-two years have passed since the largest non-nuclear explosion since World War II took the lives of 220 Marines, 18 sailors and three soldiers. At about 6:20 in the morning on October 23, 1983, a yellow Mercedes truck charged through the barbed-wire fence around the American compound in Beirut and plowed past two guard stations. It drove straight into the barracks and exploded. Eyewitnesses said that the force of the blast caused the entire building to float up above the ground for a moment before it pancaked down in a cloud of pulverized concrete and human remains. That day was the largest single-day loss of life of Marines since the Battle of Iwo Jima. It was also the deadliest attack on Americans prior to Sept. 11, 2001. Americans were shocked at the devastation, but at the time few grasped the significance of the deadly bombing. It marked the emergence of a deadly new form of terrorism never seen on this scale. Almost all of the 241 deceased service members were from Camp Lejeune, NC. 241 dads, husbands, and friends from one town gone in an instant…the impact was devastating to the small military town of Jacksonville, NC. 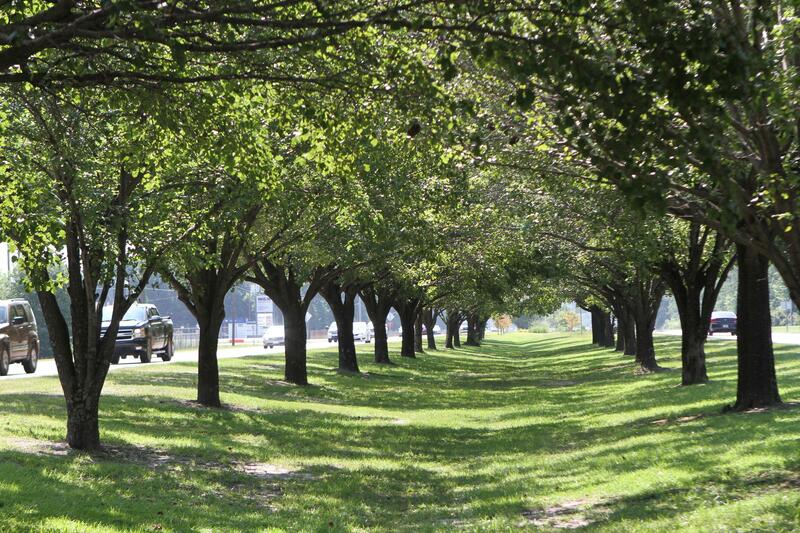 As you drive down Highway 24 (Lejeune Blvd) into the entrance of Marine Corps Base Camp Lejeune, you may not notice the center lane lined with 241 Bradford Pear Trees, one for each man lost. He is correct, for the Marines lost at Beirut there are no battle streamers..there are only trees. This entry was posted in Leadership, Marine Corps, Sacrifice and tagged Beirut, memorial, sacrifice.